McGrathNicol is an Australian legal and corporate advisory firm, a leader in its field in Australia and New Zealand that helps companies make better decisions. Yesterday, on July 28, it launched a new visual identity, created by Sydney-based agency Hulsbosch. Hulsbosch say they have developed a brand strategy that communicates the firm's experience and commitments to its clients. Visually, the new logo is a monogram made up of the initials M and N drawn with multiple lines. These lines reflect the company's "diversity of their business offering in the marketplace" and appear throughout the identity in a display typeface. Vegan Eden is a French company that offers biodegradable cleaning products for fruits and vegetables. Its first products include a washing solution and cleaning wipes. The brand identity was developed by French agency 4uatre. 4uatre say their design reflects the innovation and the inevitability of its products with "fun and recyclable" packaging. Ahead of its participation in the Sochi Olympics earlier this year, the Lithuanian National Olympic Committee unveiled a new brand identity for its Olympic team. It was developed by Lithuanian creative advertising agency Milk. The name of the Lithuanian Olympic team was abbreviated to "LTeam", using the Internet address shorthand for Lithuania. The new symbol had to bring some personality and a sense of Lithuania to the mark. Milk designed an oak tree leaf that also resembles a shield and a drawn sword. The oak tree is one of the symbols of Lithuania. STV is Scotland's leading commercial television channel, an affiliate of the ITV network carrying its defining programmes like Emmerdale, Dowtnon Abbey and Britain's Got Talent as well as local news and other programming. Recently, the entire group was given a revitalised corporate identity by London-based DixonBaxi. The new look comes STV is expanding by launching two new local news channels in Edinburgh and Glasgow. DixonBaxi say they worked on "unearthing the spirit of what it means to be Scottish and imbuing the network with a ‘Big Life’ attitude". The previous logo has been revitalised and infused with dimensions and light. It comes colour-coded for different genres, channels and corporate divisions. On screen, the triangle flies around to shed light on different programmes in trailers or aspects of Sottish life in the idents. The typography is clear and sharp, using an altered version of FS Me as its corporate typeface. Santa Monica Studio is a videogame developer in Santa Monica owned by Sony Computer Entertainment and the developer of many games for the Sony Playstation console. Yesterday, it presented new visual identity. As opposed to its predecessor and many other game developer logos, the new one is a bit more structured. It is centred around a simple flexible symbol that can be used as a window for different games. Oxygen is an American cable TV network primarily targeted at women. It was launched back in 2000 and had Oprah Winfrey among its co-founders. Today, it is a property of Comcast/NBCUniversal who this week introduced a new logo for Oxygen. The new logo is scheduled to launch on October 7 and comes with the tagline "Very real", describing a slate of new programming built around reality genre with programmes featuring "authentic, proudly imperfect and diverse characters with stories that are culturally relevant for young, modern women". Nescafé, Penguin Random House, the country of Poland, the Hague and several other entities revealed new logos this past June. Here's a round-up the most important among them. Gold is one of the most watched pay TV channels in the United Kingdom. Founded in 1992 and initially dedicated to archive BBC programmes it has shifted over the years to a schedule largely made up of comedies and sitcoms. Today, the channel is launching a new look, created by London-based DixonBaxi who worked with Gold over six months on everything from brand positioning to visual identity. The new brand positioning was expressed as "Where Funny Takes You", and the new identity is built to convey "how funny makes you feel". The new logo is a "pulley" that folds out and is designed to act as an incentive to participation, you should want to tug at it. A similar effect is used for different words that appear in "statement bumpers". Idents feature various jolly and optimistic shots of situations and objects, enhanced by thematic music. Everything is using a bright and happy colour palette, designed to reflect the brighter side of life. Tradera is Sweden's leading online auction site working on model similar to eBay. Since 2006, they have been a wholly owned subsidiary of eBay, but have retained an independent identity which was further developed earlier this year when a new look was introduced. It was created by Stockholm-based Bold. Boild worked both on a new brand platform and on interface design. They deemed the old layout and logo cluttered and outdated. A new script logo was developed to stay emotive and relevant. The yellow signature colour was enhanced and become more visible. As part of the interface design, Bold also developed a cohesive set of new icons and other elements. One of Discovery Channel's many spin-off networks in Discovery Fit & Helth, a health and fitness network launched in the United States back in 2011 by merging two similar networks. The ratings for this network have been somewhat lacklustre and this week, Discovery has announced that Fit & Helth is going away. It will be replaced by a new network called Discovery Life which is dedicated to "profiling ordinary people in extraordinary situations" with "an unfiltered look at real relationships - from patient and doctor to husband and wife or parent and child". This translates to reality shows about emergency rooms, maternity wards, fitness and families with problems. The logo above came with the announcement and has an air of placeholder over it. Discovery Life is slated for launch January 2015. Penguin Press is an imprint of Penguin Random House launched in 2003 and mostly dedicated to quality non-ficton books. A month ago, Penguin Press introduced a new visual identity, developed by Michael Bierut at Pentagram, who was also behind the corporate rebrand of Penguin Random House earlier this year. Bierut and his team set out to create a strong mark to replace the existing logo that failed to make an impact due a host of technical problems when rendered at small sizes. Working with the initials PP, the team found that they could be combined to look like a reversed version of a pilcrow, the paragraph mark. The typeface is Balto Light, with a slightly altered lowercase g.
Two of the world's leading makers of computer chips, Applied Materials and Tokyo Electron, announced last year that they would merge. On Monday, the companies announced that the new company would be named Eteris and revealed a new logo. Both the name and the visual identity were developed by Lippincott and its Japanese partner AXHUM Lippincott, working in both Santa Clara, California and Tokyo. The name is an abbreviation of "Eternal Innovation for Society", reflecting Eteris' focus innovations to help its costumers. The accompanying symbol contains a green square representing the energy in its products and blue shapes extending from its to symbolise the power of innovation. Unieuro is an Italian home electronics retail chain with stores throughout the country. Last month, it started rolling out a new logo, created by Futurebrand Italia. The new look is designed to be "warm and cosy" with a warm colour scheme and a logo that somewhat resembling a stylised heart. Today, the United States gets a new cable channel in the form of FYI, replacing The Biography Channel, which launched back in 1999. FYI is a lifestyle network from A&E Networks, although it doesn't describe itself as such, instead saying they take a "modern spin on traditional lifestyle programming". In this case, "FYI" stands for "for your inspiration, for your imagination or for your innovation". The content is an optimistic mix of reality fare, including food, style, decorating and weddings. The brand identity was developed by New York-based Loyalkaspar. The logo was designed to be bold and timeless yet modern and "reflect the conversational and inspirational nature of the FYI brand". The graphics package reflects the inspirational content, featuring different objects in monochromatic environments colour-coded for different shows. For a more authentic look, Loyalkaspar chose to work primarily with physical models instead of computers. The juxtaposition of various object is supposed to be eclectic yet beautifully composed. The package also employs fresh brush script typography with four type styles and one custom typeface. Tapit is a new Swiss smartphone app that allows its users to easily make payments. It was revealed last week, on July 1, by Switzerland's telco Swisscom who say Tapit is "the first Swiss wallet of the future". Moving Brands designed the entire brand from strategy to user interface. They created an identity that can grow with an "ownable, intuitive and uncluttered" look. 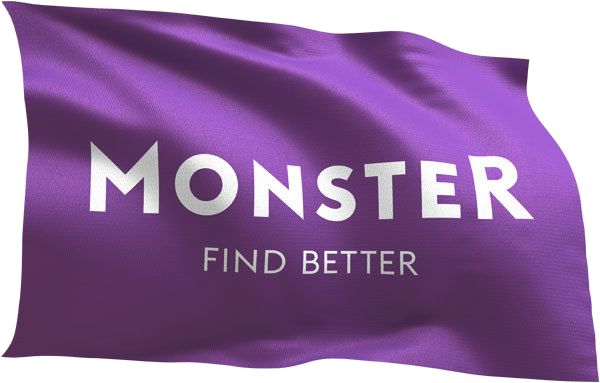 Monster.com is one of the leading recruitment websites on the Internet. This week, on July 1, it unveiled a new brand identity. The new logo consists of a simple wordmark with the first and last letters capitalised on a purple flag. It represents "Monster’s global footprint and represents the expanded ability to help employers and job candidates to Find Better", the last two words being Monster's slogan. There is apparently some flexibility about the flag application, the website mostly uses the straight forward wordmark. Qixxit is a new mobile portal and app from German railway company Deustche Bahn that help travellers plan trips using all modes of transportation. Development started in 2012 with a soft launch last autumn and full launch last month. The visual identity for the new service was developed by wirDesign, working with Cheil to apply it to a communication platform. WirDesign developed everything from positioning and name to tonality and logos. The slogan for the new service is Einfach. Unterwegs., meaning "Simply. On the go." SportsCenter is the flagship programme from ESPN, the leading sports TV network in the United States. Last Sunday, the show launched a new studio with a new graphics package, created by Troika Design Group in Los Angeles. 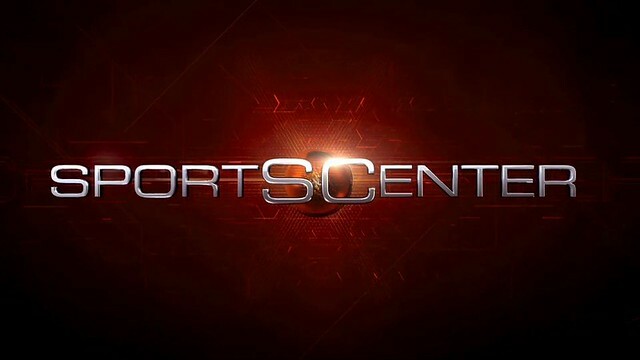 Troika have worked with SportsCenter for over a decade with two previous redesigns in 2004 and 2009. They were named Turbine and Goliath, respectively. This new look is dubbed "The Center of Sports". It is clearer than its predecessors with a more consistent use of red, white and black colour tones. Projects like these include staggering amounts of deliverables. Troika set out to conceptually and visually unite everything from set to graphics. This forms a basis to which the SportsCenter graphics team can build on further.